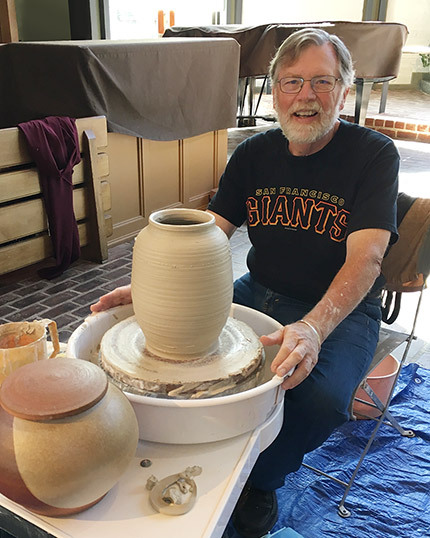 Mark S. Bollwinkel is a retired United Methodist pastor and a devoted “garage potter” with an eclectic view and variety of experience. Commission work and private showings available. Browse the pieces in the galleries below and if you see something you like let Mark know. Even if that piece is not available he’ll be glad to work with you for something similar.